Each academic year, the Women’s and Gender Studies Program awards a faculty member with the Linda Arnold Carlisle Faculty Research Grant to support research or creative work related to our program. 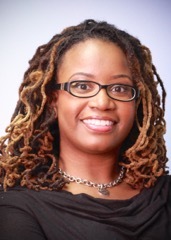 Dr. Yarneccia D. Dyson, Assistant Professor of Social Work, is the winner of the 2018-2019 Linda Arnold Carlisle Faculty Research Grant for her research project “Herstory: The Use of Womanism as an Epistemological Lens to Explore Sexual Health Risks and Lived Experiences of Women of Color in College Aged 18- 29″. She is a Health Disparities Researcher who is dedicated to work that emphasizes empowering marginalized communities. Her research agenda focuses on the exploration of sexual decision-making skills, testing behaviors, and all levels (Individual, Group, and Community) of risk perception for HIV and STI. Linda Arnold Carlisle Faculty Research Grants are awarded to UNCG faculty to support research or creative activity related to women’s and gender studies. All full-time faculty who have not received the Carlisle Grant within the past three years are eligible to apply. Grants are awarded based on the quality and completeness of the proposal, significance of the project, its implication for women’s and gender studies, and the significance of the project to the applicant’s career and future plans. Carlisle Faculty grants provide a stipend of $1500 to support tenure-stream faculty research. The funds should be used between July 1st and June 30th of the academic year of the award. Typically each grant recipient gives a presentation of their research in the Spring of the award year. These awards have contributed to other awards and honors for faculty. Michelle Dowd, for example, later won the Sara A. Whaley Book Award from the National Women’s Studies Association for Women’s Work in Early Modern English Literature and Culture, 2009. Applications are available electronically on our website, and may be submitted via email with subject line “LAC Faculty Grant Application” to wgs@uncg.edu. All applications must be received by 5PM on Monday, April 1, 2019.